Happy Monday! I'm back in Music Monday mode here. I've missed talking music with you. 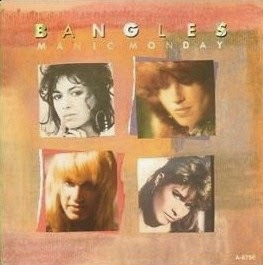 It's just another manic Monday." I was in college when this song was popular, and I remember dancing to this song at clubs and parties. Where were you in 1986? And what is your memory of this song? I agree with Holly - Prince wrote that song - who knew?! I was in high school when this song came out - and I remember dancing around my room singing it! Fun! Thanks for the trip down memory lane! Thanks for the comments! I was really surprised that Prince wrote this song too. I had no idea! Another trip back to the 1980s. Thanks, Trish!